The above introductory comments are edited excerpts from an article* by Harry Richardson as posted on GoldSeek.com under the title The Road to Hyperinflation. Put simply, what we call money is usually created in a three step process. the commercial bank is allowed to create a multiple of this money and lend it out to private customers. In today’s world this multiple is around ten times, meaning that for every dollar a central bank creates, a commercial bank can create and lend out around ten dollars. In order to create money, central banks can also buy assets. In theory any productive asset would do, but in practice central banks usually buy their own governments bonds. The US Federal Reserve buys mainly US T-bonds; the Bank of England buys British Government “Gilts” and so on. This is partly for political reasons (paying off the Government for allowing them to print money) and partly for economic reasons. In financially stable countries, Government bonds represent the most secure financial assets on offer, backed as they are by the ability of the state to raise money through taxes. If the nation is doing ok, you can be sure the Government will be doing just fine. In normal times, these purchases of bonds are not direct purchases. That is to say, they occur in the secondary market. The bonds have been purchased initially from the Government by banks, institutions or even private individuals and are then resold in auctions.The central bank buys (or sells) bonds in these auctions to create or retire money. By doing this, the Central Bank is able to manipulate interest rates. Higher demand for bonds raises prices. Since each bond pays a fixed amount of interest, when its value goes up, the interest rate drops. For instance, if a bond pays $10 per year and its value is $100, then it pays 10% interest. If the price of this bond were to double to $200, since its interest payment remains at $10, it now pays just 5%. In order to raise interest rates, the central bank does the opposite. They simply sell bonds at auction and retire the cash which is raised, withdrawing it from circulation. With more bonds on offer, prices drop, and interest rates go up. Remember this, it is important. raising rates by too much has the opposite effect, reducing the amount of money loaned into existence, and pushing the economy towards lower inflation (or even deflation) and lower levels of economic activity (or even recession). The stated goal of most central banks is to find a rate which gives reasonable growth, without runaway inflation.This is the reality in which most central bankers have lived their lives. It is also the prism through which they see monetary policy. However this is a false reality which can only exist during the early stages of credit expansion. a rapidly spiralling debt deflation where the money supply dries up and banks are on the hook for cascading loan defaults. Credit markets quickly freeze as no one has money to lend and even the most secure businesses find themselves unable to borrow to fund day-to-day transactions. They can do nothing and let the collapse happen. This is a very painful option of course as all but the most stable and well run banks and businesses are wiped out. Left alone however, a strong and quite rapid recovery is to be expected as these well run banks and businesses expand and are joined by new start up businesses which are leaner and more efficient than their predecessors. Despite the pain, this “reset” leaves both the economy and the credit markets in a much more sustainable position to resume growth, albeit in the still flawed model of fiat money and credit. The central bank can cover the bad loans with massive injections of freshly printed money. By buying the “bad” loans from the banks, the banks are recapitalised with fresh central bank money with which they can make new loans. Unfortunately, with the private sector tapped out and hurting, the only institution still willing to borrow is the Government. kept the money supply expanding…. made the private sector a target and a whipping boy to facilitate this wealth harvesting. Slogans such as “capitalism has failed” and “business is evading tax/shirking its duty” are perpetuated by the mainstream media which has become a mouthpiece of government propaganda. In earlier stages of the credit cycle, whipping boy behaviour of government was kept in check by the “bond vigilantes” – large private holders of government bonds who are inclined to sell them when they see governments running unsustainable deficits. These bond holders know that governments will not have the ability to repay these bonds with anything like sound money so their selling of bonds raises interest rates, forcing governments to rein in spending and repay debt. After a debt deflation event however, the world becomes a dramatically different place. 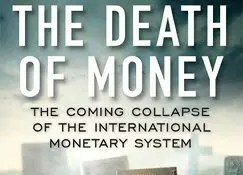 With credit money disappearing down a deflationary black hole, money printing on an epic scale is required to keep money supply at a stable level. The central bank virtually gives this money away to government by purchasing ballooning government debts with freshly printed money, at close to zero interest rates. Unlike in the previous part of the cycle, these bonds are purchased directly from government by the central bank. This is referred to as “Quantitative Easing” which is a polite and rather confusing way to describe outright money printing (theft). Despite the absence of rapidly rising prices, this still represents a transfer of wealth from the steadily shrinking private sector, to a burgeoning and over indebted public sector. Along the way, banks and financial institutions clip the tickets and are not only bailed out from bad debts, but share the bonanza of freshly printed billions (or trillions). Bond traders are left scratching their heads at this point. With government on an unprecedented spending binge, they constantly expect the bond vigilantes to emerge. With the central bank gradually becoming lender of last resort to the government, this becomes a vain hope and a dangerous trade. Named “The widow maker” by Japanese bond traders; betting on rising interest rates at this point in the cycle is a one way ticket to financial oblivion. Don’t fight the Fed, and its ability to print unlimited quantities of base money. So here we sit today. The central bank prints money like there is no tomorrow. The government spends like a drunken sailor and yet inflation is benign and interest rates sit at generational lows. Banks are gaining in profitability while their bad debts are being erased by rising asset prices. What’s not to like? Well, if you aren’t one of the lucky ones with real estate and a healthy share portfolio, things are not so good. With no assets and no decent job, things are tough on the middle classes at this point, and many are sinking to dependence on government handouts. Governments are of course happy to buy the votes and support of previously proud and independent citizens, with newly borrowed and freshly printed central bank notes. Clearly this is not a sustainable model. It can however continue for quite some time… Unfortunately, we do know that if something can’t go on, it will eventually stop. The sixty four million dollar question is when? (and how?). Nobody knows for sure of course, but I wanted to lay out my own prediction for a possible series of events which could bring the system down. Commercial bank money is pyramided on top of central bank money at a ratio of roughly ten to one. To de-leverage the commercial banks completely would require either a 90% default rate, or a 1000% increase in central bank money creation. It has become abundantly clear over the last few years which one of these options will be pursued. With the central banks controlled primarily by the commercial banks and the government, printing money to save the banking system is the path of least resistance. With the central bank creating money to lend to the government, and the government giving a part of this money to the banks in bailouts or backdoor re-capitalisations, these two institutions are doing just fine and the money supply is maintained at a reasonably stable rate. In this environment of low inflation (or even deflation) and growing confidence of the stability of the system, gold and silver are ignored or even forgotten (for the time being). As time goes by, the commercial banks gradually de-leverage. Prior to the financial crisis, excessive leverage exposed banks to risk of failure. However, with the financial crisis behind them and the central bank committed to bailing out the banks for any losses, banks can be expected to aggressively re-leverage their balance sheets. Banks don’t like to be de-leveraged. Leverage drives profitability, and with risk covered by the central banks, there is little incentive for banks to be prudent. With much higher levels of central bank money in the system and interest rates at generational lows, the banks are now free and willing to start the process of re-leveraging. With asset prices stable or rising from injections of central bank money, borrowing at these low interest rates begins to look more and more attractive to investors. With banks willing to lend and customers increasingly willing to borrow, bank credit can be expected to gradually increase in a self sustaining, inflationary spiral. With asset prices being gradually inflated, more and more investors are inclined to borrow at low interest rates to share the bonanza. This is the result central banks have been looking for. They see it as a return to the good old days, pre-crisis and I am sure they are currently all patting each other on the back and heaving a huge sigh of relief. This sense of relief may well turn out to be somewhat premature however as a couple of niggling problems point to things not being quite what they seem. Firstly, this “recovery” in the financial world, is not being felt on “Main Street.” In the earlier stages of the credit cycle, lower interest rates were generated by robbing savers to lend money to commercial enterprises. Whilst much of this economic activity was unproductive, it did at least provide increased employment in the short term. Post financial crisis, [however,] most savers have been wiped out, or pushed out of savings and into asset purchases by near zero interest rates. With government now controlling an increased share of the economy and high taxes being levied to service government debt, the private sector is struggling to survive, let alone grow. Increased credit is therefore mainly directed towards marginally productive assets desperately seeking meagre yields and capital appreciation. Assets such as real estate, low or no growth shares and low quality corporate bonds all begin to catch a bid. This inflow of credit raises asset prices but is unlikely to increase profitability (rents, dividends, bond yields etc). This leaves assets looking increasingly overvalued by conventional metrics. However, any correction probably won’t be brought about by overstretched valuations, but by a reduction in credit. So long as cheap credit is available and prices are increasing, expect credit to continue growing and asset prices to continue rising in a steady trajectory. As this happens, central banks can normally be relied upon to “tighten” policy, gradually reducing the money supply in an attempt to ease the “irrational exuberance” slowly enough to reduce credit and asset price growth, without crashing the markets (and the bank’s loan books). Unfortunately,…this will be easier said than done. Paper money systems become increasingly deflationary the longer they go on. In the later stages, the only thing preventing a bank destroying, deflationary implosion is the monetisation of government debt. As government debt inevitably increases, attempts to curtail this monetisation would lead to the destruction of the banking system through deflationary implosion and the destruction of the government through interest rate explosion. The original bond purchases were greater than required, leaving room to reduce them in the short term. Remember that the Fed is still buying a huge number of bonds indirectly, in order to keep the interest rates near zero. The Fed is lying and direct bond purchases have been continuing surreptitiously at the same level, but through a different channel (think Belgium). Whichever path is taken, more money printing is the final destination, but so what? Japan has been following this path for years with still no sign of rampant inflation. Japan has been at this game longer than anyone else, so it may well be the first to come undone. Recent policy by the Japanese government and central bank has been to aggressively target inflation of around 2%. This is hoped to stimulate the economy, weaken the yen and make exports more competitive. Presumably this has been done through bulk buying of Japanese Government Bonds (JGB’s) by the central bank. In April this year (2014) the Japanese Central Bank stopped buying JGB’s for one and a half days. During this period, not a single bond was sold. With yields near zero percent and inflation targeted at 1.8% this is hardly surprising. It does, however, give a hint of a very scary possibility in the near future. When central banks target an inflation figure, they often overshoot. Monetary policy is not an exact science and actions taken now are not felt for six months or more. Inflation in Japan has just reached 3%, well ahead of its target. Expectations would be for the Japanese Central Bank to begin tightening, but how? In normal times, the bank would begin selling its portfolio of government bonds. Since the central bank now owns the entire bond market, who is going to buy? No one at these prices apparently. To drop prices substantially to reach a market rate, however, would set off some potentially cataclysmic consequences. The rapid drop in prices would likely be self perpetuating. JGB’s have been going up in price for so long that, in all likelihood, almost no one is short and everyone is long. A fall in prices could start an epic scramble for the exits. If Japanese banks have as many JGB’s as you would expect at the end of a 20 year bull market, this would not bode well for their survival (I wouldn’t even have a clue how this might affect what happens in the gargantuan interest rate derivatives market) . A drop in bond prices also raises yields proportionately. If the Japanese Government and central bank have been following the lead of the USA, then the majority of their debt will be at the short end of the curve meaning that this debt will have to be refinanced on a regular basis. With historically unprecedented debt levels, the Japanese Government and banking system would soon find themselves bankrupt. Since the central bank is controlled by the Government, this is a very unlikely scenario. reduce the reserve ratio from its current rate of around 10%, to a level low enough to restrict lending. With the banks holding so many reserves, this cut would need to be substantial to have any impact and a lower reserve ratio means lower profitability for the banking system. If the banking system is still carrying a heavy burden of bad loans from the pre-credit crunch days then this could impact the viability of many banks. Once again, we can surmise that the banks will fight hard against this course of action. gold but if their gold were to be sold, it would be advantageous to sell it in a way to suppress prices, thus giving the impression of a stable yen when compared to gold. Once the gold was gone however, selling treasuries would be the only remaining option. This would put serious pressure on US bonds, and the Fed would have to respond with massive money printing and bond purchases of its own. This would leave other holders of US Treasuries with a powerful incentive to sell them as quickly as possible. In this way, a crisis in Japan could quickly morph into a crisis in the US treasury market leading to an explosion in QE. After all the talk of “tapering” this would have a very significant psychological impact on perceptions of the US Dollar and treasury strength. With other significant holders of US Government bonds in Asia and the Middle East selling, the Fed would be forced to buy (monetise) these bonds with freshly printed dollars, which would, by this stage, be depreciating rapidly. Assets such as stocks, real estate and precious metals would begin rising rapidly in price as these dollars were traded for rapidly appreciating assets. All US dollar savers in the U.S. and around the world would likely want to trade dollars for assets in a real hurry as their savings depreciated against tangible goods. The end of cheap credit would mean that assets mainly bought on credit, such as shares and real estate, would lose value relative to un-leveraged assets and commodities. People will still need money to be able to survive. Not only people, but businesses, governments and institutions will need some form of money to conduct essential business. If this situation became reality, only two currencies (gold and silver) would hold value, because these are the only currencies which can’t be printed by central banks. Demand for these metals for monetary use would explode as safe collateral for trade which is essential for human existence. Soaring demand with inelastic supply can mean only one thing: An increase in price which could be like nothing ever seen before in history. Invest and insure your wealth accordingly. 16. Which of These 6 Actions Will U.S. Gov’t Take to Resolve Country’s Debt Problems? 19. The Currency War: Which Country Will End Up With the Fastest Currency in the Race to the Bottom?